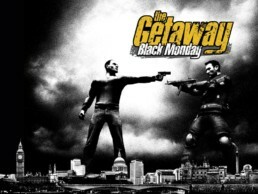 The Getaway: Black Monday is an action-adventure video game, developed by London-based Sony Computer Entertainment Europe subsidiary, Team Soho. It is set in London and take its cues from British gangster movies such as Get Carter, The Long Good Friday and Lock, Stock and Two Smoking Barrels. It is a follow-up to The Getaway.